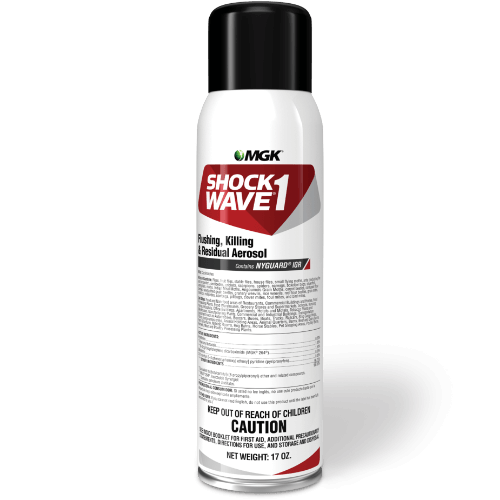 Shockwave 1 Flushing, Killing & Residual Aerosol is an all-in-one product containing two adulticides, two synergists and an insect growth regulator (IGR). It is the only flushing aerosol with food-handling tolerance that flushes, leaves an adulticide with residual and contains an IGR. This all-in-one product offers convenience and improved cockroach control performance, wherever you need it. Reference the product label for the full list of pests killed or controlled. Reference product label for specific species. What package sizes are available for Shockwave 1?